Dr. Micael Carreira, B.Sc., D.C., F.I.C.P.A. My Chiropractor Changed My Life! 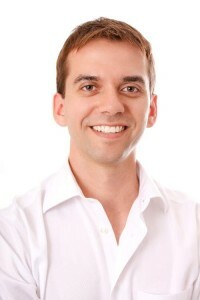 Award winning chiropractor Dr. Micael Carreira is passionate about helping your family reach their optimal potential. As a student he volunteered at a local hospital and found that he quite enjoyed working with the staff and helping patients. He originally thought to pursue a career in physiotherapy until he had his first real injury. Working as a courier Dr. Mike injured himself from improper bending and lifting. Constant excruciating pain eventually led him to follow the advice of friends and family to see a chiropractor. After experiencing the benefits of chiropractic care first hand and learning more about the profession and its natural and non-invasive approach, Dr. Mike knew he had found a profession that fit his health care model perfectly. Dr. Mike completed his 4 year Bachelor of Science degree with honours in 1999, focusing on microbiology and physiology. He then left for Marietta, Georgia to complete the intense 4 year Doctor of Chiropractic Program at Life University. He became proficient in multiple techniques, such as Full spine diversified, Thompson, Sacro Occipital Technique, Activator and Webster’s Technique. The exposure to a variety of chiropractic methods give Dr. Mike the ability to modify adjustment to his patients needs and desires. Dr. Mike served on the executive of the Sacro Occiptal Technique Club at Life University where he taught Sacro Occiptal Technique to chiropractic students. He has also completed hundreds of hours of post doctorate training seminars studying neuroimmunology, pediatric adjusting, perinatal care, developmental neurobiology, neurology, rehabilitation, nutrition, and extremity adjusting procedures. Dr. Carreira is always upgrading his skills so he can provide state of the art care based on the newest chiropractic research. Dr. Mike has completed the extensive 200 hour pediatric certification program with the International Chiropractic Pediatric Association (ICPA) and has been involved in the ICPA’s Practice Based Research Network, contributing to research in the field of chiropractic wellness and also pediatric care. Dr. Mike obtained his Webster Technique Certification in 2001, Webster technique is most well known for its success at turning breech babies. In his pursuit to share chiropractic, Dr. Carreira became involved with a chiropractic mission trip to India, which proved to be an life changing experience. Helping families in need of care, and working to bring chiropractic to others around the world was a wonderful experience. Dr. Mike enjoys traveling, camping, and spending time with his three children, Leilani, Taivus, and Oziah. The children have all been born naturally at home and under chiropractic care since birth. The whole family continues with regular chiropractic adjustments to maximize their health potential. 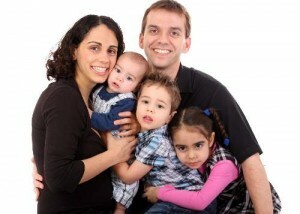 Dr. Carreira and his wife Dr. Salgueiro are the only husband and wife chiropractic team in Barrhaven. Together they started Marketplace Family Chiropractic Centre to make sure their community had access to the highest quality chiropractic care for the whole family. Dr. Nancy Salgueiro, B.Sc., D.C., F.I.C.P.A. Dr. Nancy Salgueiro always knew her passion was helping others. Her first job was as a home care worker, caring for the elderly and disabled children. This experience and volunteering in the emergency room led her to pursue health care as a career, originally planning on becoming a physician. As she continued her studies of science and the human body and through the education she received from her chiropractor, she had a realization, “the human body is meant to be healthy and it makes much more sense to support normal function then to mask symptoms with drugs.” This realization and the great success she had with her own chiropractic experience led Dr. Nancy into her chiropractic career. Dr. Nancy completed her Bachelor of Science degree in microbiology and physiology, graduating with honours in 1999. She then moved to Marietta, Georgia to begin the intense 4 year chiropractic program at Life University. Dr. Salgueiro became proficient in many chiropractic techniques, including Activator Methods, Thompson Technique, Sacro Occipital Technique, Full spine diversified, and Webster Technique. This training gives Dr. Salgueiro the tools necessary to individualize the care her patients receive. Dr. Nancy served as president of the Sacro Occiptal Technique Club at Life University where she taught Sacro Occiptal Technique to chiropractic students. Dr. Nancy graduated at the top of her class from Life University in 2003. She has since continued her education with post doctorate seminars in neuroimmunology and nutrition and has also become a childbirth educator, mentor, and doula. Dr. Nancy is a recipient of the Nepean Chamber of Commerce Professional Service Award. A key experience in Dr. Salgueiro’s life was a chiropractic mission trip to India. Hundreds of families were provided with chiropractic care and it was at this time that she confirmed her passion within chiropractic; caring for pregnant mothers, children, and families as a whole. She truly appreciates how fantastic it is that most patients that come to the office do so as whole families. 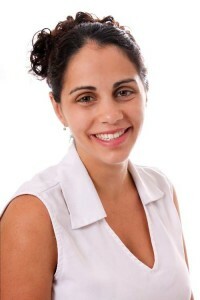 Dr. Salgueiro obtained her Webster Technique Certification in November 2000, Webster technique is most well known for its success at turning breech babies. Dr. Salgueiro has also completed the extensive certification program in pediatric and perinatal care offered by the International Chiropractic Pediatric Association (ICPA) in June 2002. With her love for children as her primary focus in practice and life, Dr. Nancy started her family in 2006 by giving birth to her daughter Leilani at home, right here in Barrhaven. Her second home birth, a water birth, was in 2009 to her son Taivus. In 2011 she gave birth for a third time in her home to son Oziah, this time live on the internet to help others see how gentle and peaceful an undisturbed birth can be. You can watch her birth here. She enjoys traveling and spending time in nature, hiking, camping, and canoeing; especially with her family including their dog Sarah. She is currently in a supportive role at Marketplace Family Chiropractic Centre . Her love for supporting women in pregnancy and childbirth is consuming her time authoring books on pregnancy and birth, supporting women in birth as a doula, teaching live childbirth empowerment courses, and developing a complete online childbirth empowerment curriculum and community. She also hosts two of Marketplace Family Chiropractic Centre’s community support groups, Pathways Connect for holistic minded parents and Positive Birth for expectant families. She is cofounder and panel facilitator of the CHOICE! A Birth and Baby Film Festival. Are you a good candidate for chiropractic care? Call Marketplace Chiropractic to arrange a time to discuss your health issue in person: 613-823-1255.